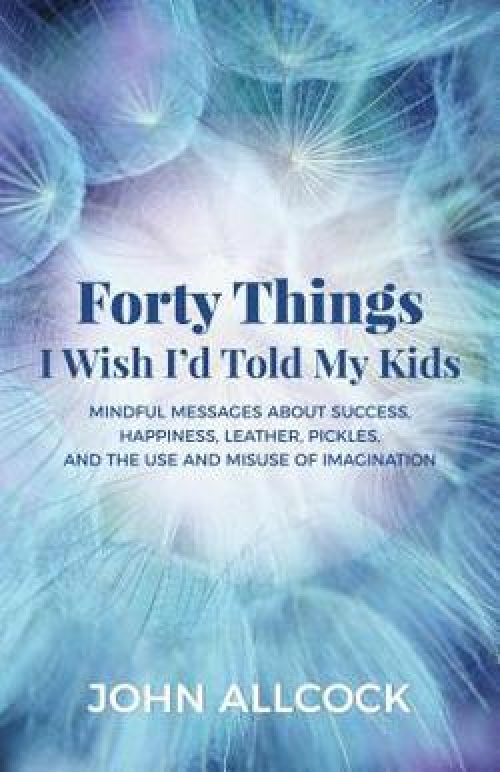 Author John Allcock�s latest book, �Forty Things I Wish I�d Told My Kids� (Morgan James Publishing; $14.95/softcover), contains essential wisdom drawn from mindfulness tenets that will benefit parents and children alike. The eastern practices of mindfulness and meditation are becoming ever more crucial for those mired in the stress and anxiety that accompany a fast-paced, digital lifestyle. Unlimited access to social media, news articles and a seemingly endless number of amusements on our phones allow us to sleepwalk through our lives, never truly engaging with the world or the people around us. One of the key questions to be asked is: what is one�s role as a parent? Clearly, most parents would agree that keeping one�s child safe and preparing them to become independent, as adults are key issues. These can be scary things for those who are not prepared to deal with them. �Forty Things� is key in making sure children learn how to function on their own and become confident in themselves. This book is presented in a very �readible� manner. In other words, the chapters are short and the subject matter is, in large part, about common sense. Explaining the tenets of mindfulness in a way that is both relatable and accessible, �Forty Things I Wish I'd Told My Kids� is an invaluable guide for those seeking stability, happiness and self-acceptance. John Allcock has dedicated over 15 years to the practice and instruction of mindfulness. He is the co-founder and director of Mindfulness at Sea Change Preparatory, a trailblazing academy that regularly implements the practice of mindfulness in its curriculum. The school's emphasis on mindfulness set the foundation for the success of its students, including world-record-breaking swimmers, which were featured on NBC Nightly News. John is also a Harvard-educated trial lawyer and has been the global co-chair of DLA Piper's Intellectual Property Group. He lives in Del Mar, California, with his wife and academy co-founder Cheryl. Together they have four children.